Manouchehri House, Kashan, Iran - Upper view of Manouchehri house before renovation, once a middle class family residence in the heart of Mohtasham neighbourhood of Kashan. 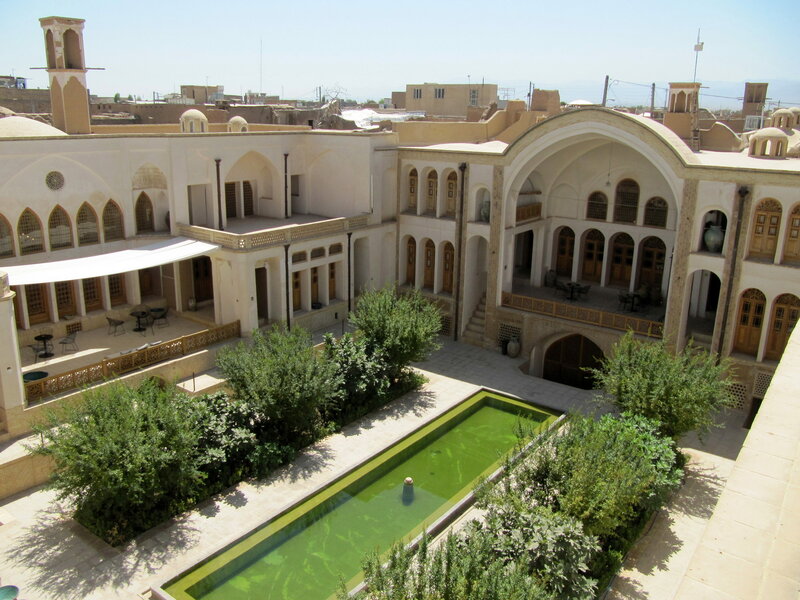 Upper view of the courtyard showing southern and eastern wings after restoration - Manouchehri House, Kashan, Iran. 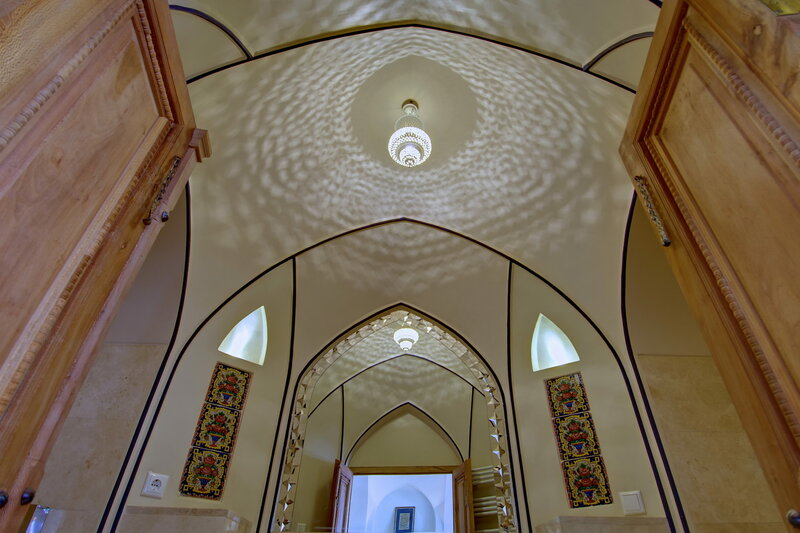 Bottom view of bathroom vaulted ceiling - Manouchehri House, Kashan, Iran. Interior view of boutique Hotel bedroom. Furniture and decorative works were guided by master craftsmen of traditional carpentry, ghavarekari, decorative tile work, stucco and mirror work - Manouchehri House, Kashan, Iran. 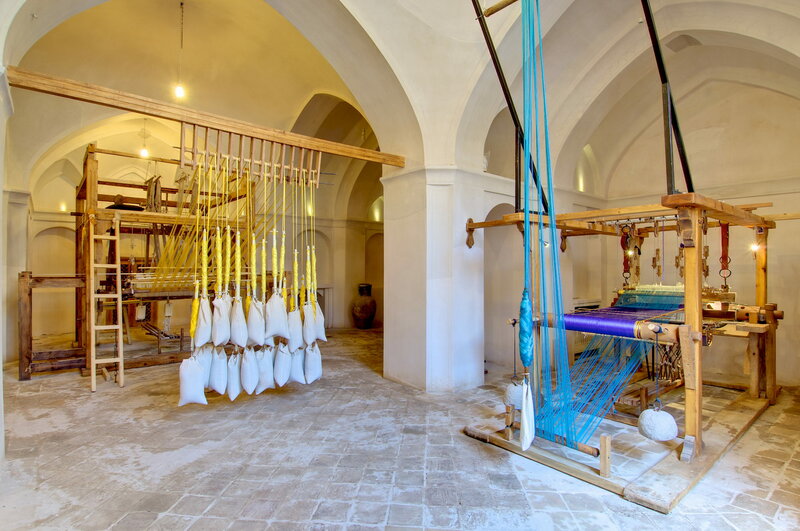 The revival of historically significant hand-woven textile traditions of Kashan which were on the brink of extinction - Manouchehri House, Kashan, Iran. The combined reinvigoration of the architectural and craft-work heritage in an old city has sparked a broader revitalisation. 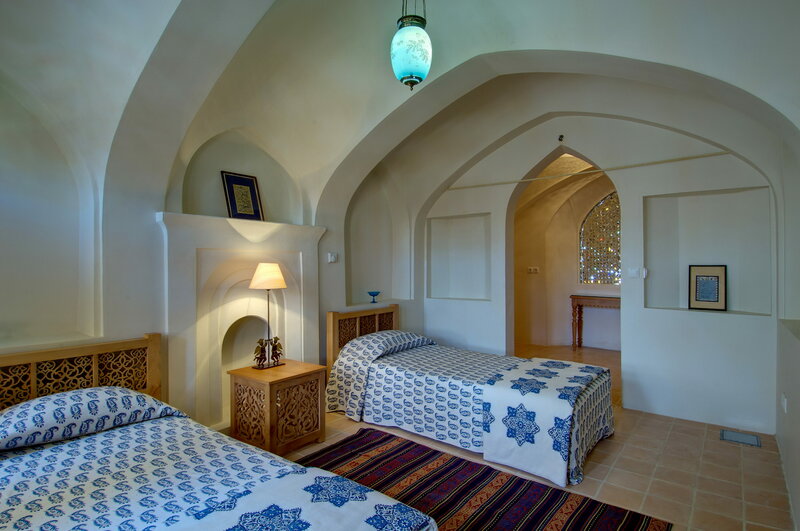 A boutique hotel and textile centre located in the historic quarter of Kashan, in the province of Isfahan, the project entailed the restoration of a 19th century merchant home, typical of the historic residential buildings of the area which have for the most part fallen into complete disrepair. 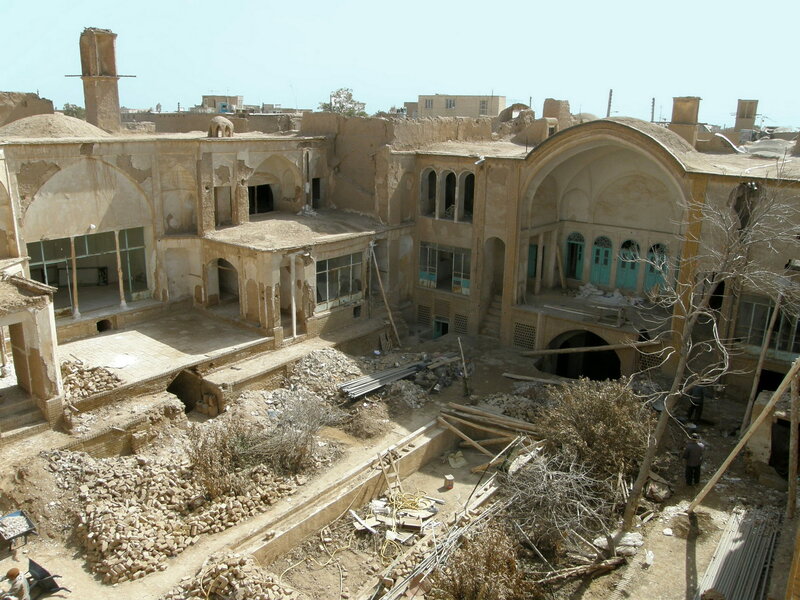 The initial purpose that informed the undertaking was threefold: the revival of historically significant hand-woven textile traditions of Kashan which were on the brink of extinction; the renovation, restoration and revitalisation of a historic house and its surrounding neighbourhood in order to draw attention to the vast treasury of this architectural heritage in danger; and raising awareness of the cultural, artistic and technological traditions embedded in the Islamic architectural traditions of this region. It houses not only the textile workshops for brocade, silk, cotton and velvet weaving, but also features the city’s finest dining establishment, a contemporary art gallery, a handicraft shop, and a subterranean movie house adapted from the original cistern of the old structure The project has met with so much success that it has drawn thousands of people from across the world, and has triggered many similar initiatives across the city.